Wildlife themes were dominant on the A/W 2012 catwalks and have been spotted on celebrities more and more this season. Begin autumn by breathing new life into your wardrobe with country style prints of creatures such as owls, foxes and deer. Check out the catwalk images below for inspiration and High Street suggestions all in store now. 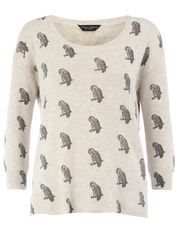 This cute jumper subtly works the animal print trend and with owl prints being THE creature of the season, this is a great addition to your autumn wardrobe! Add a bit of luxury with this gorgeous wool jumper. 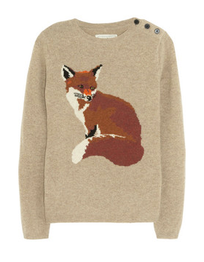 A striking fox print, cute button detail and gorgeous earthy tones makes it a great piece for the 'heritage' look. 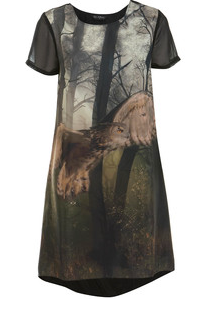 Look edgy and fabulous with ease in a printed T-Shirt dress wearable for any occasion! It's a darker, mysterious take on the creatures trend but still super striking. Wear with a leather jacket, opaque tights and ankle boots for a casually cool look. J.W Anderson landed at Topshop earlier this month and the range was worth the wait! 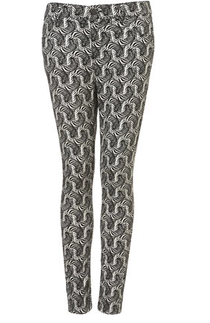 I love these zebra print jeans, giving an effortlessly cool and fun way to wear the trend. Glam up with a pretty blouse and heels for going out or just a casual T-shirt for a great day wear look. 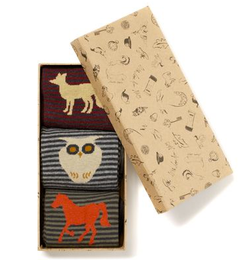 These adorable socks will keep your feet cosy as the colder weather sets in. With 3 animals to choose from you can't help but fall in love with these woodland creature socks and have fabulous looking feet! Such a great gift too! 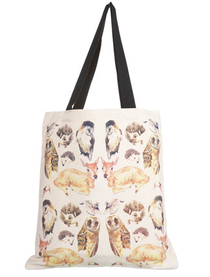 Inject a simple statement piece with a 'creature print' tote bag for your everyday wardrobe. A great item to grab on the go and it's super practical too!